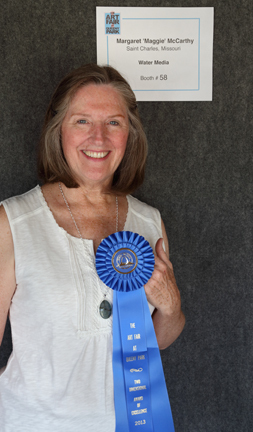 Maggie McCarthy received Blue Ribbon Two-Dimensional Award of Excellence at the Art Fair at Queeny Park Labor Day Weekend. Big Splash 2013 – What A Show! Congratulations Maggie!! I so admire your work!